Home / Social Media / training / How to Find a Good Social Media Trainer? How to Find a Good Social Media Trainer? With over 4 Million internet users in Sri Lanka we can see more and more companies adapting Social Media as a marketing communications channel these days. This creates the need for Social Media training in Sri Lanka, paving the way for another industry for Social Media Training. In my last blog post I highlighted it is becoming vital for companies to train their existing marketing staff for Social Media and Digital Marketing. At the same time, when they recruit new staff they have to check for Digital Marketing qualifications in potential employees. However, the challenge most companies faces today is finding the right partners for their training. It’s easy for a company’s training manager to decide which trainers to work with for a broadly popular subject like marketing, finance, or office etiquette etc. However, knowing that most of the training managers and senior marketing managers at Sri Lankan companies are clueless themselves about Social Media or Digital Marketing, they rely on some illusive methods of choosing a training partner. If a trainer is having years of experience in training people in marketing, the training manager assumes the same person could do a good job in digital marketing and social media training. Assumption is, if they are good in traditional marketing consulting, they should be good in the new rules as well. There’s no harm in this judgment as long as you are looking for a basic training program for your staff to give a background overview of digital marketing or social media. If the trainer is having sound educational qualifications in marketing, and having experience in lecturing marketing related subjects for various courses, the training manager assumes the person is fit to be a good trainer in Digital Marketing and Social Media. Again, if your objective is to give a list of definitions to your staff, there’s no harm at all of hiring someone in this caliber to do your training job. This is a typical Sri Lankan attitude, that anyone who is based outside the shores of Sri Lanka can be a better expert in any subject than the ones who live in Sri Lanka. This belief leads companies to spend money on hiring someone for a training job simply because they live in India, Singapore, Malaysia, USA or UK. I recently had a chance to go through some training materials shared with one of our clients by a training institute based out of Singapore. In their training material, they encourage people to create fake profiles on Facebook to increase engagement. 80% of the materials talks about increasing the number of followers on Facebook and Twittter, but no content at all on Social Media brand planning, Social Listening or Social Media measurements. I checked one trainer's profile only to find out he himself is having just 10 followers on Twitter. There are some great internationally renowned Social Media trainers like Chris Brogan, Brian Solis, Anne Handley, Mari Smith, and Rohit Bargava whom you can hire for your training workshops if you can afford them. However, hiring someone simply because they are based in another country doesn’t make sense at all. So, what are the characteristics you need to focus on when selecting a good trainer on Social Media or Digital Marketing? Before someone can train others on Social Media marketing, the trainer should be able to have a strong presence on platforms he/she is preaching about. Someone with just 10 followers on Twitter can hardly tell you how to get a million followers for your brand on Twitter. When I say ‘industry track record’, I did not mean the industry of training. 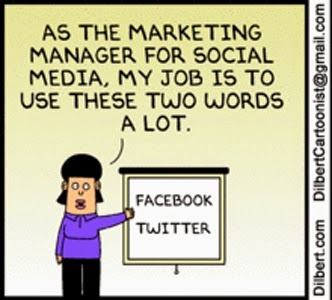 I mean the industry of Digital Marketing and Social Media. Check if the trainer is having at least 3 years industry experience of implementing Digital and Social Media campaigns for at least one brand. Just having knowledge on several theoretical models of digital marketing will not make someone a good trainer. Check what brands/companies he/she has helped building a Digital or Social Media presence. Evaluate the present situation of those companies on Social Media. Are you happy with their Social Media presence? If so, the person who was behind those success stories can help your brand too. Talking to the potential trainer for few minutes will give you a good idea about how conversant he/she is about the subject. If she is not talking anything beyond Facebook and Twitter, you should be really careful. Ask few practical problems you have about Social Media, and listen to his answers. Are they seems practical? Or is he talking some theoretical nonsense? Check if the potential user chants too much of buzzwords like ‘Viral’ ‘inbound marketing’ ‘multi-screen strategies’ etc etc. The ones who use most numbers of buzzwords are the ones who have done least amount of practical work. When a company pay for it’s employees to participate in a training workshop or an internal training program, that’s an investment you make in the company’s future. You should not invest your training budgets in nothing but the best. Stop falling for the pretty language in training broacher you receive and focus on the above four tips to select the best candidates to train your staff for Digital Marketing or Social Media Marketing. How to Create an Online Survey/Questionnaire With Google Docs? The Problem of Instagram Fakefluencers: Are they really capable to improve brands? Cambodia’s Digital Transformation Future: Should We Expect to See More Changes? How Long Can TikTok Survive as the Most Trending Social Network in Asia? Amitha is a digital marketing professional based in Colombo, holding more than ten years of experience in Search Engine Marketing, eCommerce Management, and Social Media Marketing.